Our Glasgow Training Centre Centre is the only Training Centre offering the IOSH Course in Scotland. Glasgow is well located and has strong travel connections making it suitable for individuals and companies based in Scotland or northern England. Both the Managing Safely and Working Safely courses are offered here. 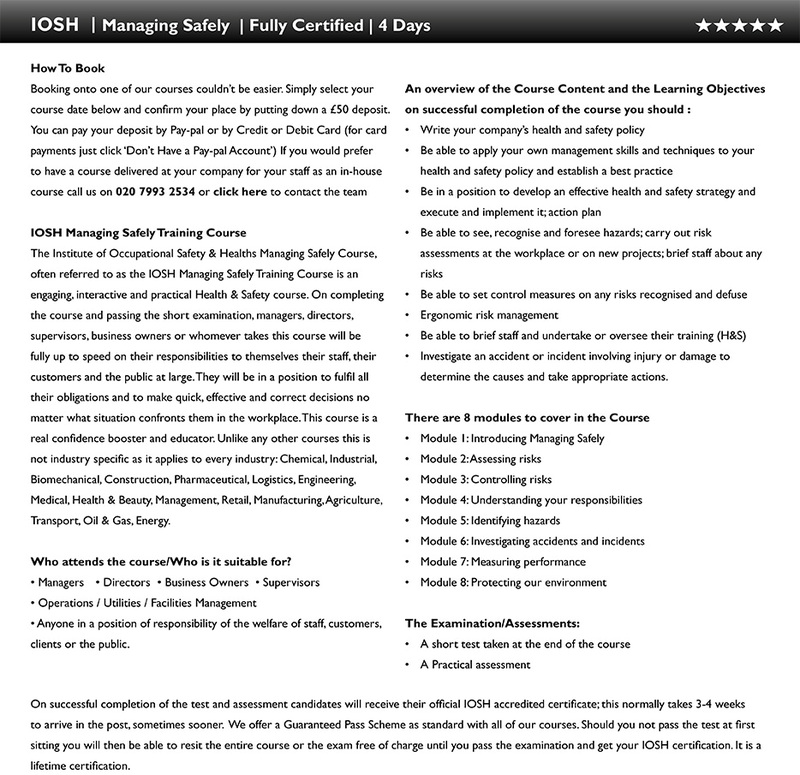 Booking onto the course is very simple.. simply choose your course date for the IOSH Managing Safely or the IOSH Working Safely course from the dates below, place a £50 deposit and your place will be confirmed.Deposit can be placed via Debit/Credit Card or by PayPal. If you would prefer to book over the phone or if you have any questions you can give us a call on 020 7993 2534. We also do these courses in-house for those that require them for their workforce or management and would prefer a private session in their own setting, contact the team at 020 7993 2534 or click here to send a message to the team now.